With the news of late droning on about Ebola, The Echo decided to interview Dr. Ami Siems from the Southern Nazarene University’s nurses office to get some tips and ideas about what would happen if Ebola came to SNU. Interview in a nutshell: If you don’t want to get Ebola, don’t go where people have it. If think you have it, get a reality check because you most likely do not. And, if you do actually have it, check into the nurses office immediately. Q: When did you decide to become a doctor? A: The first time I decided to become a doctor was in fourth grade. The second time was when I came to college. The third time was when I was in a PhD program in biochemistry. Q: How long have you been working as a doctor? Q: How many of those years have you been working at or affiliated with SNU? Q: For SNU students, what are some practical tips for avoiding Ebola? A: Stay away from people that have it. And do not travel to countries where it is prevalent. Q: What are the chances of someone catching Ebola here at SNU? Pretty low? A: Zero. Well, there is probably a 00.1 percent I guess. Because who knows? Weird things happen. Q: What are some symptoms that students should look out for? A: Fever that is over 100.4 degrees fahrenheit, severe headache, muscle pain, weakness, diarrhea, vomiting, stomach pain and unexplained bleeding or bruising. Q: If a student thinks they have Ebola, what steps should they take? A: A reality check. There is no chance, so they shouldn’t think they have it. Q: But for the sake of the interview, would a student go to an emergency room? A: No, because they would be turned away. Well, they wouldn’t be turned away, but they could come here. Yes, if a current student thinks that they have it, they should come to the nurses office. Then we will do their reality check. Q: If a student was to catch Ebola here at SNU, would SNU have to do something? Like sanitize their room or something? A: Yes. The student would be isolated, and if they really had it, they would be taken to a hospital. Then we would call the state health department and they would take over. Q: Is there anything else that would like to tell SNU students? A: Come get their flu shots. 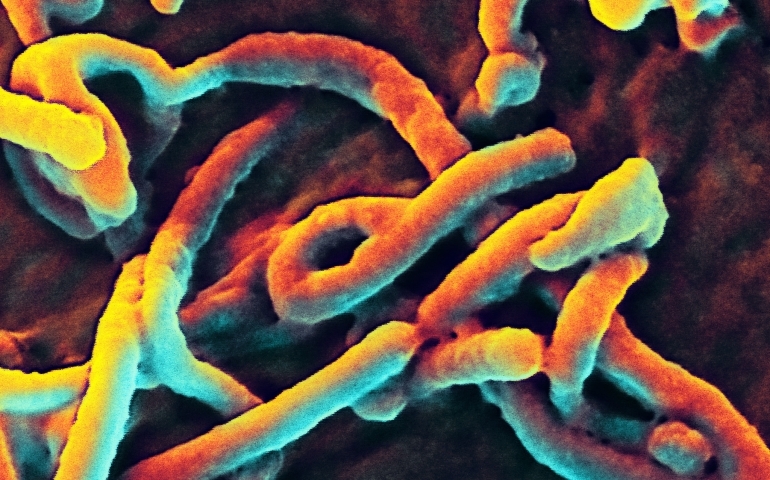 We can’t prevent Ebola; we can’t do anything about it. But, we can definitely prevent the flu, so come get their flu shots. They are fifteen dollars.